For CEOs that require a secure and private environment to operate your business. Private networking enables you to operate in a secure environment while connecting to remote offices, mobile staff, and cloud based IT services. A benefit of the Internet, and mobile wireless networks is corporate services and data can be extended beyond the traditional bricks and mortar office. A physical lock on the front door and office alarm system are still required plus digital security to extend the corporate network to remote/mobile staff, cloud IT services, and Public Internet based Apps. Malicious people (hackers) and software (malware) are operating 24 hours a day. In most cases malicious activity can damage or destroy your IT environment. Having a protected private network allows your business to operate by extending secure connections to remote staff and cloud based services while insuring the integrity of your reputation, applications, data and in turn your revenue. With surveillance data gaining value, i.e. Google, Facebook, etc. private networking is more important than ever before. Plan and be aware of the data you share publicly, keep everything else private. Keep in mind that once your data has been exposed unintentionally, it will likely be collected and used with little to no regard for the well being of your business. Columbia Networks has developed a portfolio of private networking solutions to meet various client requirements including; Ethernet, VPN, and Wireless/Wi-Fi. Advanced Networking and Security options are available to enhance and customize the solution to address a specific business need. Best Practices for private networking focuses on methods and techniques that have proven affective at reducing digital security incidents. With over 30 years of experience in networking and computing, Columbia Networks has a rich knowledge base to leverage and share with our clients. In addition to our historical knowledge, we have adopted machine learning technology to minimize the risk from emerging digital threats. Ethernet – Columbia Networks Ethernet service runs on our carrier grade network core, is available across Canada, and includes our business service level agreement. The service guarantees bandwidth and availability while allowing control over functions like VLANs, IP addressing and firewall management. Ethernet services do not go over the Public Internet. VPN/ Virtual Private Network – Columbia Networks VPN service supports encrypted private communications across the Public Internet. VPN is a fully managed private network solution and supports connectivity between offices as well as mobile workers. VPN can be deployed quickly, supports a high level of security, and requires a local Internet connection. VPN service is available across Canada and includes our business service level agreement. The SLA guarantees VPN performance and is supported by our 24/7 network operations centre. VPC/ Virtual Private Cloud Connection – Use Columbia Networks VPC to create connections between Azure, AWS, and Columbia Networks datacenters and infrastructure on your premises or in a colocation environment. VPC connections do not go over the Public Internet insuring a quality service in terms of privacy, reliability, speed, and latency. Wireless/ Wi-Fi – Columbia Networks managed Wi-Fi provides staff with secure corporate network access. Securely identify, authenticate, and authorize devices. A robust network infrastructure supports the Wi-Fi radios and has the capabilities to mitigate radio interference and enforce corporate policies critical to supporting BYODs. 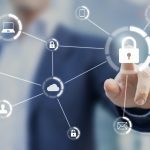 Managed Security Services – This portfolio of managed services has been developed to reduce the risk of connecting your private network to the Public Internet. Please refer to our website for details. VNOC – All Columbia Networks managed services are monitored from our Virtual Network Operational Centre 24 hours per day. The business service level agreement/ SLA details service specific guarantees, i.e. performance and availability.